The long awaited National Animal Kaiser Championship 2012 is HERE!!! 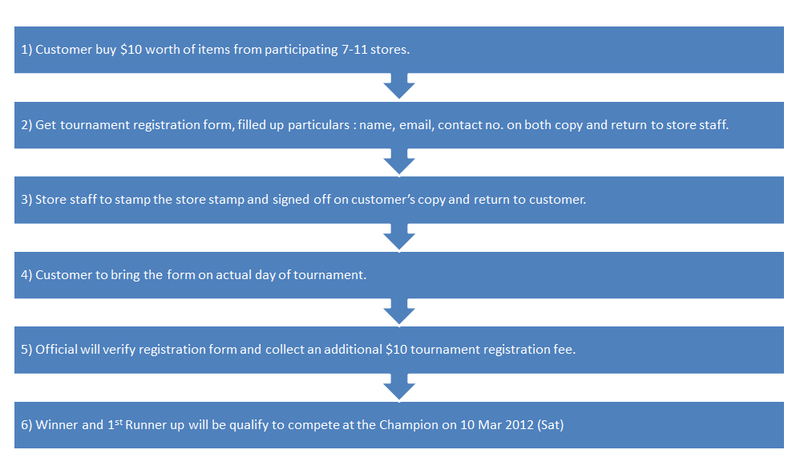 32 Winners from 7-11 stores tournaments will battle it out during the March Holiday Grand Final. 1. NRIC / any form of identification document must be presented for verification. 2. Participants should turn up 30min earlier for the verification - Absentees or latecomers (15min before commencement of Tournament) will be automatically disqualified and opponent scores a walkover. 3. Only original version 1, 2, 3, 4, 5, 6 or Animal Kaiser Evolution version 1, 2, 3 English Animal Kaiser Cards are allowed. 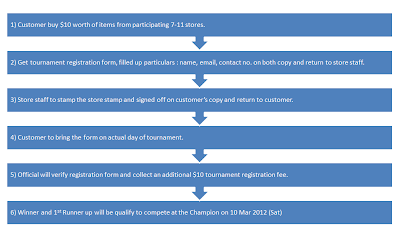 All participants’ cards will be checked by Tournament Officials before they can be scanned for use. 4. Participants are not allowed to change their card combo during the tournament. 5. Any participant who displays poor sportsmanship or undesirable behaviour such as use of vulgarities will be disqualified. 6. Tournament Official’s decision on results is Final. Organizer reserves the right to amend Terms & Conditions.